Whenever you do something that requires physical activity, your entire body benefits from it. After a 2-hour workout, you’ll feel happy about life and your mental state will improve. Your muscles will gradually enlarge and get stronger. You, as a person, will become a better version of yourself before starting to work out. However, if your goal is to build muscle, then you have to understand it doesn’t come down to just physical exercise. As with weight loss, you’ll need to combine physical activity with a proper diet, thus maximizing your chances of getting muscles the proper way. Some people don’t believe in combining these two elements, but there are numerous examples which prove how good it is. In any case, your best chances at success are related to how much information you’re dealing with. So, if you don’t know anything about the current topic (superfoods), pay close attention to what you’re reading! Besides, even if you don’t believe that changing your diet can have a positive influence on your muscles, why not just give it a shot? All of these foods are tasty and can be made/used in many ways, so you have nothing to lose! So, without any further ado, here are 12 superfoods that you need if you want to build some muscle! Fish oil isn’t something you’d consider eating on regular occasions but, it’s there. The reason why it’s included in this list is that fish oil is a fantastic diet addition that reduces inflammation in joints. This allows you to work a bit more than if you didn’t take fish oil supplements (since you most likely won’t be able to get enough of it from entirely natural sources such as fresh fish). Additionally, fish oil can increase testosterone levels which also helps when working out since you’re going to feel ‘pumped up,’ thus pushing yourself harder. Finally, fish oil burns through the excess fat in your system, which contributes to weight loss. All in all, being on this list is completely deserved and justified. Remember: Get fish oil supplements that have enough of the substance to satisfy your daily needs. When using cooking oil to prepare food, one has to be careful with the type. Sunflower oil, for example, is relatively unhealthy and should rarely be used. 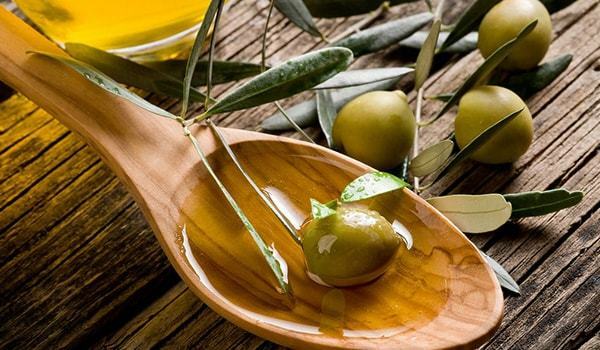 On the other hand, extra virgin olive oil is constantly a part of world-famous dishes from world-famous chefs, so what’s the catch? Well, every different cooking oil is unique with different characteristics. As such, olive oil is always the recommended option when cooking something for a multitude of reasons. Let’s take a look at why. See, olive oil itself is pretty healthy, but extra virgin olive oil is the real deal. It contains 70% monounsaturated fats that contribute to a healthy heart and reduce the chances of cancer and heart diseases. 1-2 tbsp of olive oil in your salad is completely enough for the olive oil to have a significant positive effect on your body. Besides, when compared to regular olive oil, extra virgin olive oil is much tastier! Nuts are nature’s wonder food that is great in every regard. They’re a natural source of fiber, protein, monounsaturated fats, as well as polyunsaturated fats, potassium, zinc, Vitamin E, Magnesium, and many others. The surprising thing about nuts is that they can help you gain weight while giving your muscles a nudge; a pretty big nudge as well. 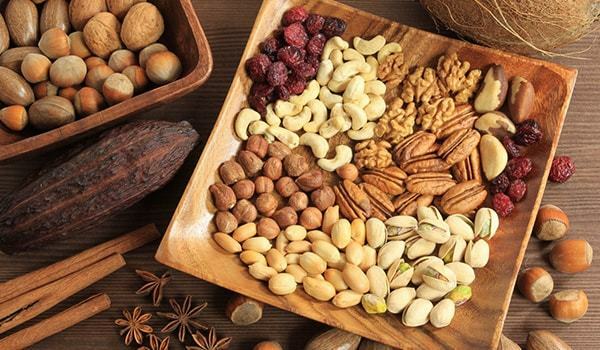 Not only will you gain weight from eating nuts (that you don’t even have to choose since any nuts work wonders but combining them is best), you’ll get stronger and healthier. Peanut butter is also an option, as long as you eat peanut butter that has no additives such as salts or sugars. If there is a superfood out there, it’s nuts, as evident by many bodybuilders who recommend nuts as a necessary part of your diet, no matter what your end goal is! No, not just for Thanksgiving! Did you know that turkey is technically healthier than beef; even though beef contains a lot of protein. The main difference here is that even the leanest beef contains some saturated fat, which is the unhealthy variant (you should eat food that is rich in unsaturated fats). This is why turkey tastes incredibly dry at times; there are absolutely no saturated fats in the meat. You can make it following any recipe you want, but we recommend finding a recipe that is oriented towards muscle building and slightly faster weight gain. Oh, and we recommend quinoa & spinach as foods that turkey can’t go without. Trust us - it’ll taste even better plus you’ll receive all the benefits that spinach and quinoa bring to the table. Ahh, red meat. The subject of controversy for many (at least nowadays). There’s no doubt that red meat intake has reduced over the last couple of years for the entire planet, mainly due to people becoming vegans. And, of course, there’s nothing wrong with being vegan, or with eating meat. After all, humans are omnivores; we can’t get enough crucial components from vegetables and fruit alone, so we must eat meat as well. Maybe in the future, there’ll be replacements for red meat that contain everything we need but, until then, if you want to stay healthy, red meat should be a part of your diet. 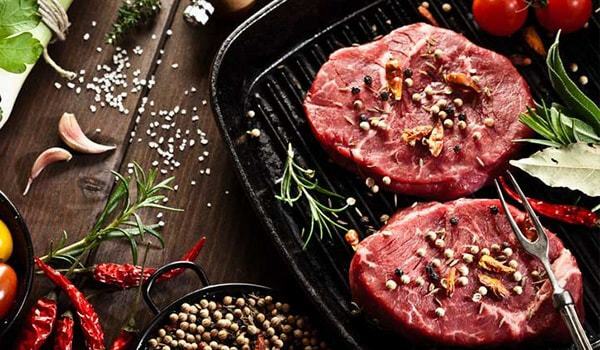 Why is red meat so important? It’s loaded with protein, vitamins, creatine, zinc, carnosine, as well as omega-3 fatty acids (if you eat grass-fed red meat/beef). All of these components directly contribute to muscle increase and strength gains. This isn’t the only benefit, but it’s the most important for those that want to build some muscle! We mentioned quinoa before so it’s completely understandable that we’d include it in the list. Quinoa comes from South America and is also known by the name of ‘king of grains.’ This name stems from the fact that quinoa has the highest amount of fiber out of any other grains such as oats or rice. It’s also high in protein, but you shouldn’t eat it as a pre-workout solution. Instead, eat quinoa after a workout session with some meat and spinach. People have started to prefer quinoa as it tastes great and is gluten-free (which can’t be said about some other food items). If you want the highest quality quinoa, go for the whiter grain. ‘An apple a day keeps the doctor away’! Well, apples aren’t good for just repelling doctors, they’re amazing at other things as well. For example, apples are rich in pectin which directly contributes to an increase in satiety. You’ll feel fuller when eating apples than other foods. This, in turn, has a positive effect on weight loss because you’ll eat less than what you’re used to. There’s one extra characteristic of apples that is essential to health. They’re one of the best antioxidants, behind only cranberries. But, if you want to receive these effects, you’ll need to eat the peels (which isn’t half bad if you ask us). 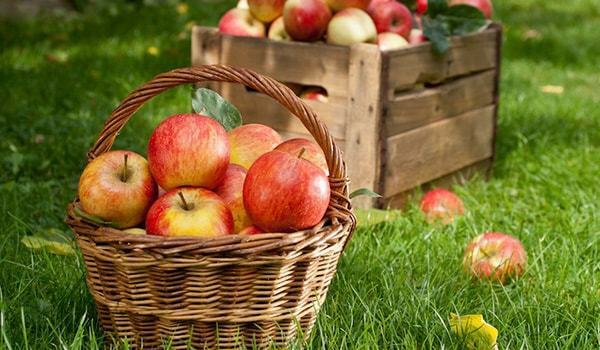 The downside of apples is that most of them are pesticide-contaminated; your best bet is to go organic and find apples which haven’t been sprayed with any chemicals. Broccoli is the world-famous green superfood with oh so many benefits. Did you know that broccoli can actually fight cancer and even lower the chances of it appearing? It’s surprising but true, as proven by multiple scientific studies. Broccoli is terrific at keeping your weight down too since it has similar properties to apples when it comes to satiety (it’s high in fiber and low in calorie count). But broccoli isn’t the only vegetable with these benefits. Almost all cruciferous vegetables have similar characteristics and positive effects on health. These include bok choy, cabbage, cauliflower, kale, and many others. Some people love cheese and can’t live without it. They love eating every type of cheese on the planet! But, there are also those that despise it with a passion. We’re all different, but there’s no denying the fact that cottage cheese is one of the best muscle building foods out there. 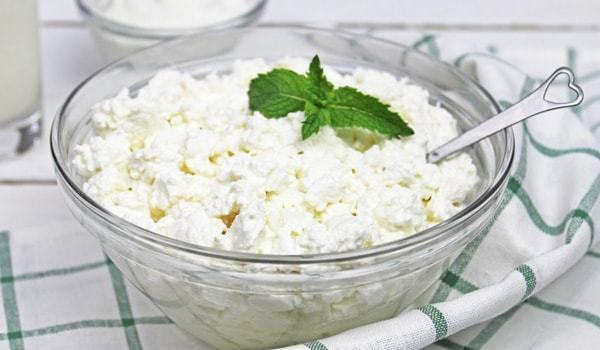 Cottage cheese also belongs to the healthier types of cheese since there are usually no additives. It’s made naturally, and kept natural, throughout the entire process of making it. So, what’s so impressive about cottage cheese? It’s one of the best sources of fats and protein, and it contains casein; a protein that takes a much longer time to digest than others. This means that cottage cheese contributes to fixing your metabolic processes. This is important to your overall health because you’ll start eating more appropriately and energy will be absorbed in a better way. Tomatoes are an integral part of many people’s diets yet not a lot of them know just how healthy these vegetables are. Tomatoes are present in almost every part of the world, and there’s a reason behind this. Tomatoes are high in something called ‘lycopene.’ Lycopene is a red pigment found in tomatoes (giving them their red color), but this isn’t its only function. See, lycopene can help prevent cancer. Tomato paste lycopene amounts are four times more useful and bioavailable than what can be found in fresh tomatoes. This doesn’t mean you shouldn’t eat fresh tomatoes; it just means that other forms of tomato have a higher concentration of lycopene. One great meal that should follow post-strength training is pasta or pizza with olive oil & tomato sauce. It’ll recharge you and give you the best possible effects. You’d think that eating a lot of carrots can give you superhuman eyesight, but this just isn’t true. However, facts are facts and, even though you won’t have incredible nocturnal vision, your eyesight will still improve from eating carrots. This includes night vision (but again, don’t expect to see in the dark like an owl or cat). This is because carrots are rich in vitamin A. If that wasn’t enough, this vegetable is also low in calories (so you’ll be able to eat lots of them without gaining any weight). 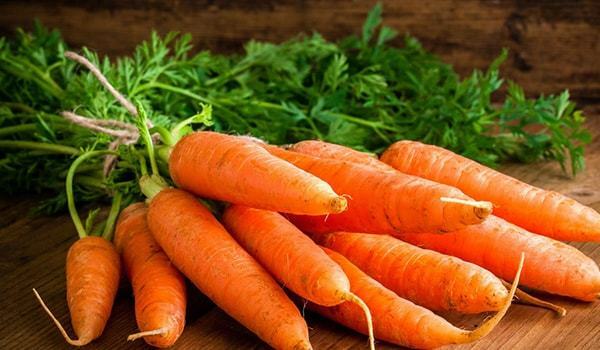 Carrots contain a lot of fiber too, and they’re great when it comes to taste. Make them in any way but eating them fresh is probably tastiest (although it doesn’t matter too much how you eat them since you’ll receive the benefits anyway). Lastly, their low-calorie count and high fiber count improve muscle size and strength! You might already know that eating too many bananas can cause issues with digestion and you may even throw up. This is because they’re very rich in Potassium and you might feel dizzy if there’s too much Potassium in your system. However, eating a banana or two after a tough workout is recommended by many bodybuilders and athletes. 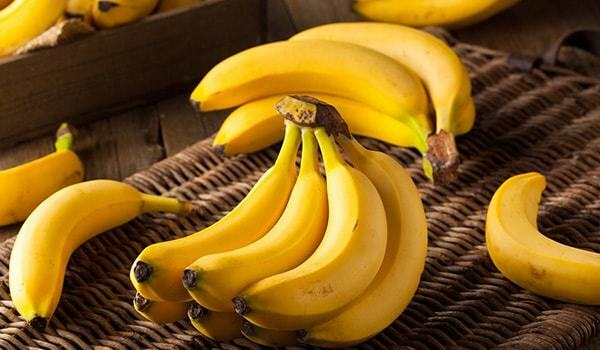 And these people are completely right; bananas are an excellent source of energy and can be eaten before a workout as well (for that extra boost of energy). There’s also some iron, protein, and fiber which will all deal with weight loss and muscle gain. Besides, getting an energy boost such as what bananas can offer is never a bad thing. You’ll be able to push yourself even more than before and what you thought was possible. As time passes, you’ll start seeing changes on and in your body; plus, you won’t have to wait too long if you start eating these muscle-building superfoods!